Navarre IT Solutions provides professional IT Services and Support Solutions for home and business clients. Top Quality Hardware From Leading Brands. Software and Bulk Software Licensing. We Build Networks From Architecture To Installation. Support of Servers and all Devices in-between. PABX and VOIP Installations & Maintenance. Large Printer Leasing / Sales and Support. Our Professional team is Hard working and Knowledgeable with 15 Years IT Support experience. To proactively Provide and Support IT and/or Network Infrastructure for all business requirements. We offer a professional relationship with all clients be it an individual or a multi-user business client. We Support SOHO, SME and Corporate Clients in the Cape Town Metropol and Surrounding Areas. Stop wasting time with ineffective, unreliable and unqualified PC Technicians. Navarre IT Solutions guarantees you professional IT Support provided by qualified technicians at affordable rates. We offer both On-Site & Remote support, with remote support being a convenient, safe and cost effective method in which to help clients with smaller problems. Get total peace of mind, with our managed support services, knowing that all of your IT requirements are monitored and maintained. 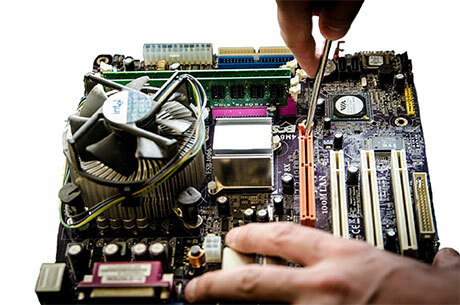 The provision, installation and configuration of Computer Hardware and Software is another core IT Service offered at Navarre. We are authorised resellers of most well known hardware and software brands and have years of experience in the implementation of both new and refurbished computer hardware and licensed software. Our software compliance audits will ensure you are on the right side of the law and reduce the risk of fines and/or even network breaches due to illegal, out-of-date and risky software. With the high consumable cost of printing, it is important to have the right printing equipment for the job. Navarre can recommend, supply, install and maintain cost effective printing solutions for your business, thus reducing your overall cost of printing. We supply and maintain all kinds of printers, from entry-level InkJet printers to large-scale, high-volume Laser Printers and state-of-the-art 3D Printers. 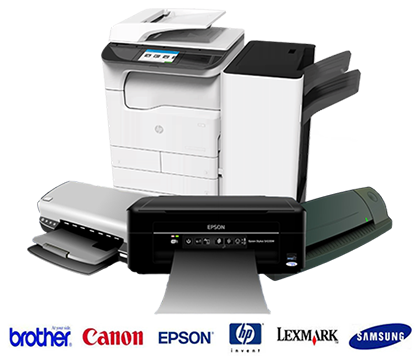 Cost per page Printing Solutions, Printer Repairs, Printer Leasing and Original or Generic Print Media available. * Photocopiers and Office Automation Items Available Too. Your IT woes are our concern and we offer various ways to get technical issues resolved speedily. By pro-actively monitoring your computer network, we can often prevent issues before they occur. IT Solutions to Suite Your Individual Requirements.